Now that the weather is getting a bit warmer, some creepy crawlies will be emerging from their period of winter inactivity. Teachers and students may like to engage in a schoolyard safari to collect, identify, and display some of our amazing Australian insects. On Queensland Museum’s Wild Backyards site you can find out how to trap insects using pitfall traps, malaise traps, and beating and netting. 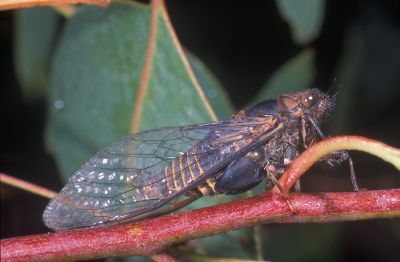 Instructional videos show you how to Plan a Study, Collect Insects, Identify Insects using a CSIRO Invertebrate Key, Display Insects, and Summarise Data using spreadsheets. The Backyard Explorer Leader’s Guide and User’s Guide that are on the Wild Backyards site are suitable to use with mid-primary to senior Biology groups. EEIs (Extended Experimental Investigations) and ERTs (Extended Response Tasks) can be designed around biodiversity assessments. A study of changes to flora and fauna over time and space is one way of exploring changes to biodiversity. The Displaying Insects video has recently been added to QM’s suite of instructional videos. In this video Noel Starick, who was an entomologist at CSIRO for many years, shows some of the techniques and ‘tricks of the trade’ to help budding insect-lovers produce an eye-catching insect display. 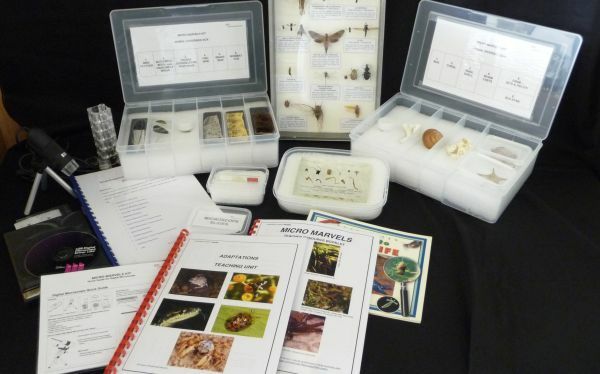 Insect trays can be kept from year to year and used to teach classification (Yr 7 of the Australian Science Curriculum) and adaptations (Yr 5), as well as classification at a senior Biology level. An insect tray with specimens classified down to Order level, is included in the new QM Loans kit, Micro Marvels. This kit will be available for borrowing from 2012. Booklets that assist with teaching these themes were uploaded on a previous blog; see the one on New Primary Science Loans kits trialled in the Classroom. 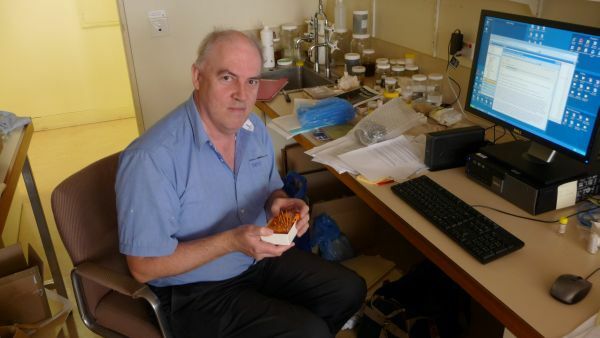 Dr Merrick Ekins is the Collection Manager of Sessile Marine Invertebrates at Queensland Museum. He collects Sponges, Cnidarians (Hard, Soft and Black Corals, Anemones, Jellyfish, Zooanthids), Ascidians (sea squirts), Bryozoans, Brachiopods and Hemichordates. Sessile animals are ones that are fixed in place, at least in the adult stage, and don’t tend to move around from place to place. 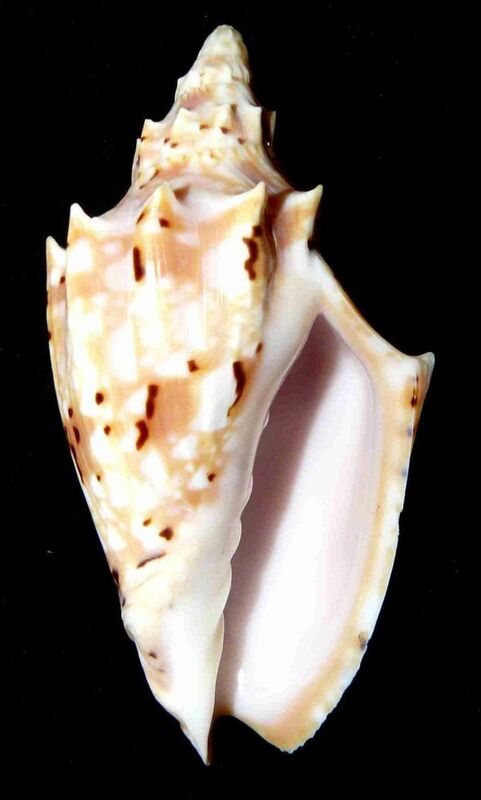 Merrick is responsible for collection, storage, transport and maintenance of over 50 000 specimens. 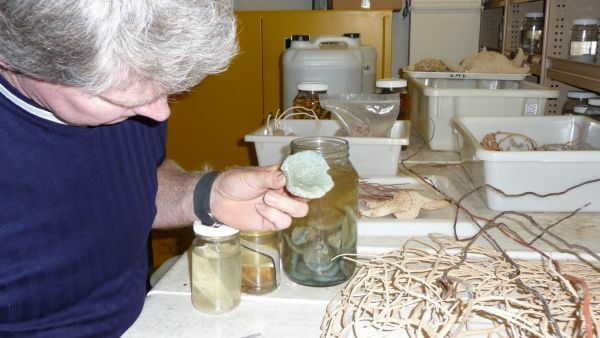 Part of Merrick’s job involves deep-sea scuba diving to collect these specimens. He has a Dive Masters certificate and is a qualified Cave Diver. 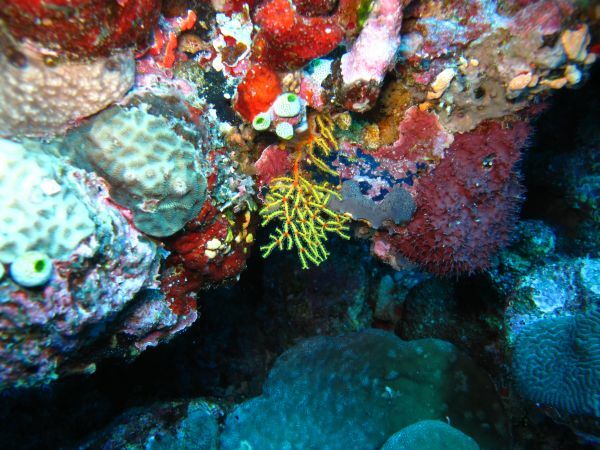 On such dives he may collect fish, sponges, octocorals, ascidians, and hard and soft corals for other QM scientists. 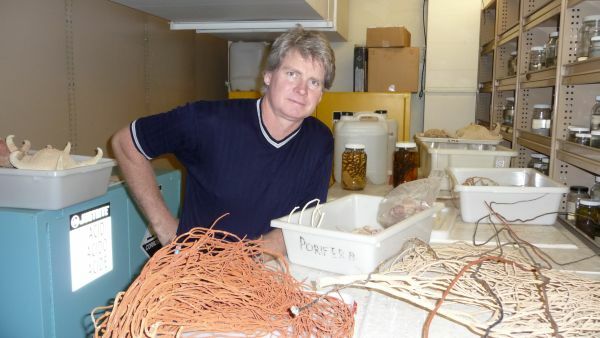 For example, specimens may be collected on behalf of or in conjunction with Jeff Johnson (ichthyologist); Dr John Hooper (sponge expert); Dr Monika Schlacher (octocorals researcher); Pat Maher (ascidian researcher); and Dr Carden Wallace (coral expert); and for other international projects such as the Deep Down Under expedition. 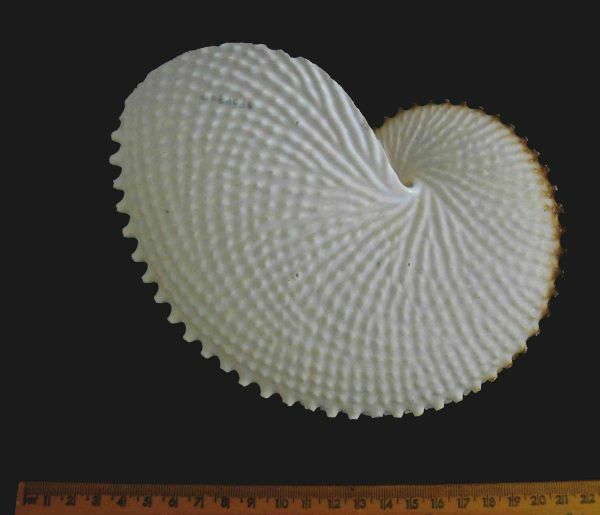 Merrick says it is best to preserve the specimens as quickly as is possible on the dive boat. For example, sponges are frozen and octocorals are placed in ethanol. Other animal such as sea anemones and ascidians require more steps such as ‘relaxation’ prior to preservation. Menthol crystals are added to salt water to make these specimens ‘relax’. 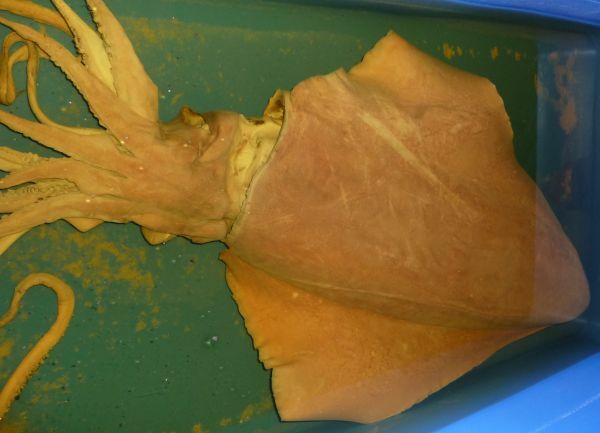 That is, the tentacles that were previously withdrawn into the central body cavity become everted i.e. they spread out. Then the sea anemones are fixed in formalin, stored in alcohol, and labels attached to the jars. 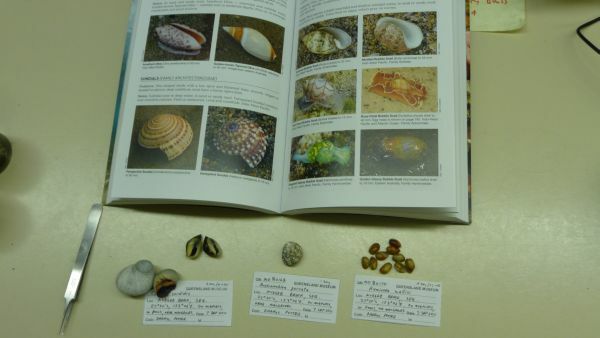 Data about the specimens is entered then into QM’s sessile marine invertebrate database. 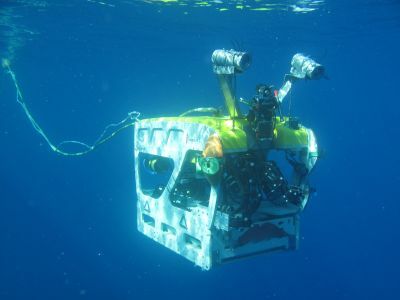 The image below shows an ROV (Remotely Operated Vehicle) beginning its dive on Osprey Reef to photograph and grab samples of new species of sponges and octocorals from depths of up to 600m. This device had three video cameras and lights attached to the framework. 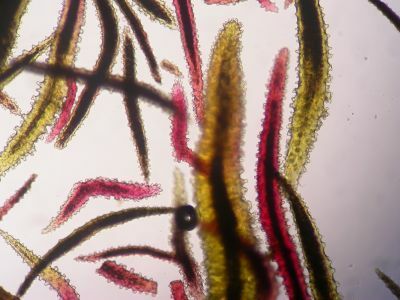 Sponges are placed in nitric acid to dissolve the organic material and this leaves the silicone spicules which are essential for identification. The spicules are viewed under the SEM (Scanning Electron Microscope) to help with the identification and classification of the specimen. Sponges are rarely identified on their morphology (body structure) alone. Identification of octocorals involves dissolving them in bleach which leaves the sclerites. 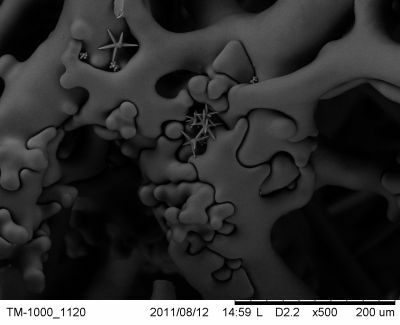 These are then view under a microscope or SEM in a similar fashion to sponges. 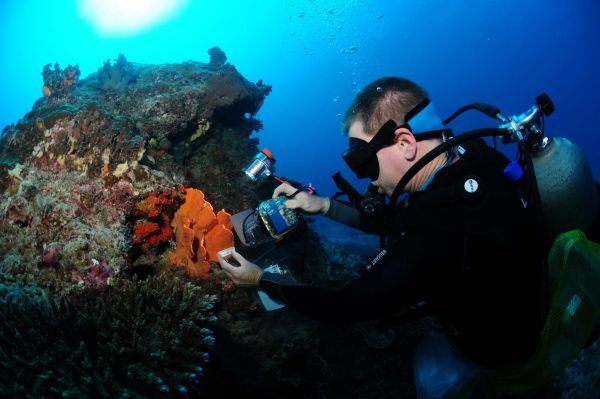 Merrick particularly loves diving amongst ocotocorals, gorgonians (sea fans and sea whips) and Bryozoans (lace corals). These can make up fantastic underwater forests, and with all these beautiful bright colours, it’s really like visiting another world. It’s one of those moments of exploring that Merrick loves about science. Currently Merrick is researching the population genetics of deep-sea sponges found on sea mounts in New Caledonia. A sea mount is an island that didn’t quite make it to the surface and can be as much as 4 kilometres deep. These sponges are found about 200-500 metres below sea level. Merrick is collecting specimens from different sea mounts in the ocean to see if they are related. DNA technology helps with this process. 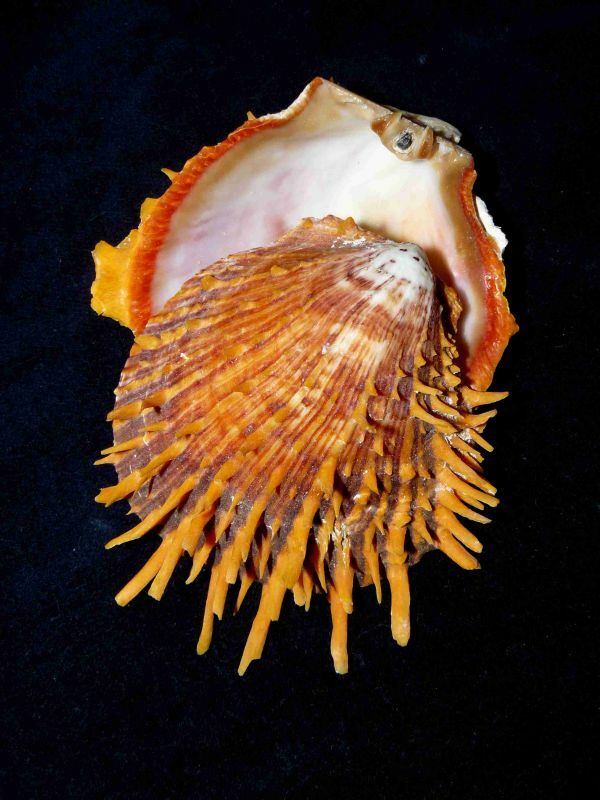 On our QM website you can find out more about sessile marine invertebrates. Visit our resource Biodiscovery and the Great Barrier Reef to find out about the different types and uses of sponges. Learn more about how genetics and DNA technology help with the identification of species by viewing our Disease Detectives resource. 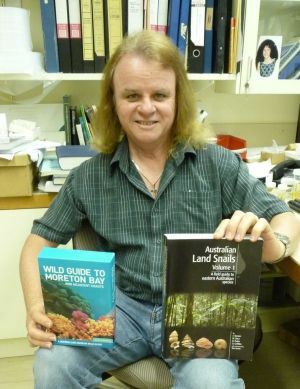 Merrick has a PhD in the field of molecular genetics in plant pathology, and worked in many varied fields of science before moving to the area of Marine Biology. To learn more about the jobs that Merrick does, visit his Biography page.